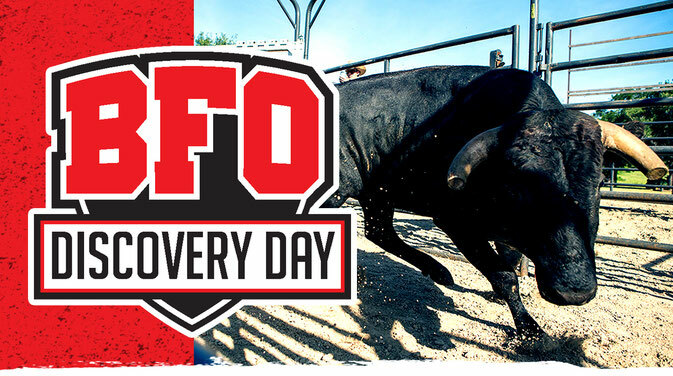 BFO Discovery Day allows fans and enthusiasts to take one step closer to the action. Held on the final day of each BFO Development Camp, attendees are introduced to freestyle bullfighting through a crash course in Bullfighters Only 101. Discovery Day takes place on the dirt, focusing on the most basic principles of bullfighting. Attendees will have the opportunity test their hand on the bull dummy, and the more daring participants may actually get to face a live animal! Register for the BFO Discovery Day experience! Fill out the form below to reserve your spot and we'll get in touch with more information. * Assigned on a first come, first serve basis.